This is the place where it all began; these people needed to come to a place like this where they would not be observed. There was a lot of secrecy involved in the meeting because they were trying to hide their plans to control the banking system of the United States. Mr. Griffin discusses the room at the resort on Jekyll Island where the Federal Reserve system was first created. It was planned on a privately owned island and club at the turn of the last century. Only the most powerful and politically connected people could come here. People like the Rockefellers, the J.P. Morgan’s and their business associates. Edward never took much interest in money and banking until he found out about the secrecy involved. He used to believe you could trust your government. When he found out about the secrecy, he wanted to investigate and find out what exactly they were hiding. That’s how he began to write his book back in 1994. His book “The Creature from Jekyll Island” is now in its fifth edition and 41st printing and has been translated into several languages.Edward says the history in the book has turned out to be pretty accurate. It’s reasonably comprehensive, and there have been very few corrections over the years. He’s tried to update the book over the years as new information has come to light. That's how fast news on this situation is moving, as I just finished putting "digital ink" to "digital paper", the separatist region of Catalan has declared independence in the face of all the push back they are receiving from Spain, in the face of the veiled threats and potential violence, they have voted to embark down their own path. “We constitute the Catalan Republic, as an independent and sovereign country, under the rule of law,”. "With humility, firmness, courage and courage, we start a historical path! 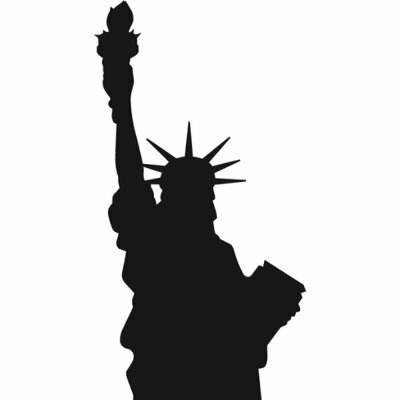 We win the freedom!" This is amazing news to anyone who believes in free will and liberty, but now, the people of Catalan and it's government need to get ready for the shocks that are about to come their way. Who knows exactly what is going to happen, but with the amount of egg just thrown in the face of the government in Madrid, I expect a swift enactment of article 155. How Spain will use their "legal" powers is yet to be seen, but undoubtedly, the potential risk of extreme violence is now very high. The elites of the world have been called out and this "upstart" government has just slapped them across the faces, justice in their eyes will need to be enacted. Sympathizers and those who did not want to separate from Spain, within the Catalan region will likely cause massive issues within the new country, including agents, who will be actived to cause intentional, additional unrest. 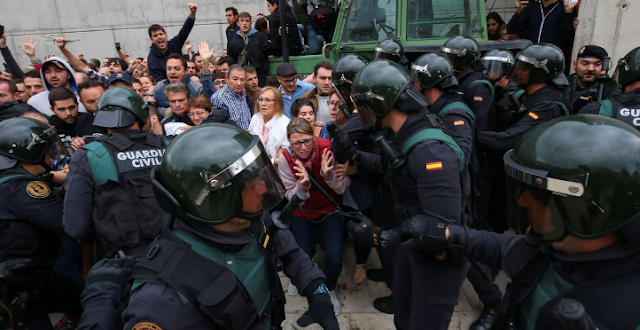 A heavy police state is going to have to be enacted within Catalan, to keep society functioning in the short term and massive gyrations within their local markets and the markets of Spain is now going to play out. Fasten your seatbelts and get ready for the ride, its only just begun. For anyone who has been following the news out of Spain this week, you will know that it is absolute rollercoaster, an utter and complete mess to say the least. The country has been thrown into chaos over the Catalan separatist movement and attempting to decipher the truth of what is actually going on, on the ground within that region is nearly impossible to do so. The reasoning for this, is the constant conflicting news stories, that come out only hours apart. Throughout the week, there has been a constant back and forth of stories, one will claim that the separatist leader Carles Puidgement is giving into the demands of Madrid, then only hours later, he posts a defiant Instagram post, alluding to the exact opposite. As previously stated, it's a mess. Sadly, for the separatist movement, time is running out for them and the elites in Spain are growing impatient. Article 155, which will allow the Spanish government to crack down viciously on the Catalan region is set to be enacted tonight at 12 p.m. This dwindling timeline has done nothing to clear the fog of confusion, as we are now hearing two different stories as of even today. One states that the Catalan separatist party is petitioning Madrid for the ability to hold a snap election, and the other states that they will simply declare independence. Catalan separatist parties—Junts PEL Sí ("Together For Yes") and the CUP (Popular Unity Candidacy)—have registered a motion to declare the independence of Catalonia in the regional parliament. 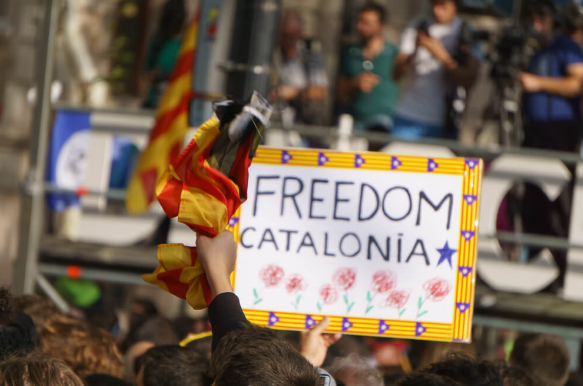 A copy of the document published by Spanish media included the phrase: "We constitute the Catalan Republic as an independent sovereign democratic, social state of law". The text would also approve the activation of the secession bill approved by the regional chamber at the beginning of September and voided by the Constitutional Court and "begin the constituent process". Wherever the truth lies, is unknown. But what we do know is that Carles Puidgement is stuck between a rock and a hard place and is rapidly running out of time. Anger within the region is demanding that Catalan separate, while the government in Madrid is forcefully demanding that they back down, or else. This, as I have previously stated is not going to end well. Carles Puidgement knows that his life is on the line and it is exactly why he has been recently seen backpedaling on some of his statements, he knows that this is not a game and has likely been privy to many behind the scenes threats. His bravery cannot be understated, as the elites of the Western world are likely to come down in full force on him and his minuscule government. 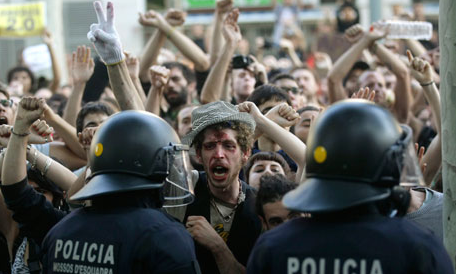 There will be little they can do if Spain decides to resolve this situation with violence. Only the condemnation and watchful eyes of liberty lovers around the world will hold the tyrannical forces in check, as the Spanish government knows that there will be repercussions on the international markets if they act with extreme violence, against a democratically decided outcome. Sadly, at this time, besides the people resisting on the ground within Catalan, we are the best hope they have, as little consolation as that may be. Governments all over the world need control, they need control over "their" people, they need control over "their" money supply and through this control they can grow their power and ability to dictate our everyday lives. Everyone is born under a system of control in today's modern world, arguably, for most of history it has been this way. Sure, we are given freedoms as long as we play within our specifically defined set of rules, but just try to break these rules and watch how quickly the hammer comes down on top of your head. This is exactly what we have witnessed on October 1st, within the Catalan region of Spain, who voted OVERWHELMINGLY, 92.1% in fact, to exit Spain and become independent. This was a nonviolent, democratic process, by a set of people of a specific region, yet they have learned the hard way that their destiny is far from their own. The government of Spain looks at this prosperous region as theirs and the people that make up this area are their cash cows, cash cows that are attempting to hop the fence and drift off the farm. This cannot and will not be allowed. The violent crackdown that we witnessed on October 1st, showed the government of Spain's hand, but they are far from the only government that would act in this way. The global elites of both the West and the East, all would act in a similar manner. Prime Minister Mariano Rajoy, is now taking additional steps, invoking Article 155 of their Constitution, which gives them the right to "restore the legality" of the semi-autonomous region. Which I'm sure as you can guess, means forcefully removing the "renegade" government of Catalonia by any means necessary. Still, Catalonia's President Carles Puigdemont is not backing down in the face of these threats and hopes that the region can separate peacefully, a truly hopeful wish in my opinion. This has led to civil society organizations within Catalonia to call for retaliation against the government of Spain, requesting that all citizens within the region initiate a bank run by withdrawing their funds all at once, together. If you think this call to action is to be taken likely, then you are forgetting one of the key elements that give the ruling class their power, their control over the fiat money supply and the banking system that keeps it going. The citizens of Catalonia are going to learn the hard way, just how little money the modern day banking system keeps in physical reserve. Quickly the vaults and ATM's will run dry and then what? I for one am hopeful that this situation will resolve itself peacefully, the people of Catalonia will be set free, as they have democratically requested, and that this will be a bright shining example of liberty and free will in a modern time. Sadly, I highly doubt that is what is going to occur. Unless the government of Catalonia steps down on their own accord, then you can expect to see violence and blood in the streets. This action cannot and will not be tolerated by the elites of the world, lest the rest of us peasants get any silly ideas in our heads. The biggest danger to Dr. Roberts, who has a PhD in economics, is the U.S. dollar. 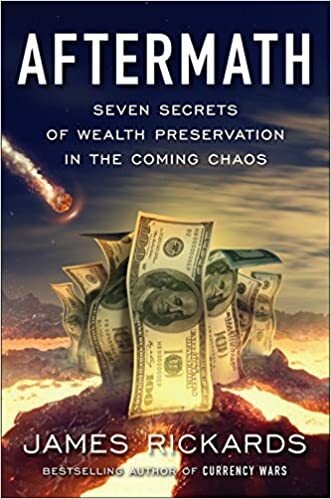 Dr. Roberts contends, “It seems to me that the only thing that would cause the Federal Reserve to stop the liquidity would be if the U.S. dollar fell under attack. Then you could see that everything could come apart. 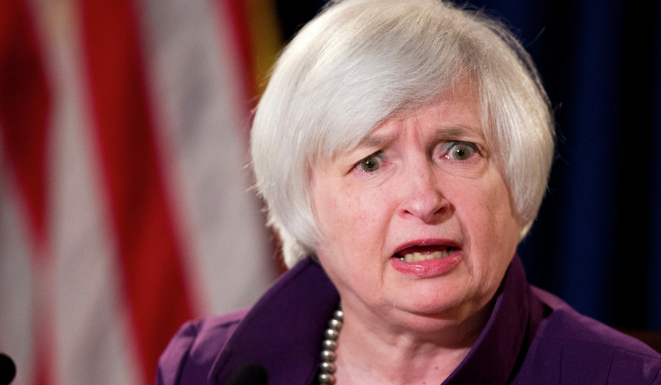 If the interest rates would go up, there would be all kinds of derivatives that would not be sustainable. The stock market would collapse. It would be a mess. Ron Paul: Tax Cut or the Re-Arranging of Chairs on the Titanic? Whenever you hear of tax "reform," think of a shell game, or the re-arranging of chairs on a sinking ship. America is in dire need, not for tax "reform," but of genuine tax "cuts." Government revenues, spending and debt have to shrink. Don't hold your breath. Are We Watching the End of an Empire? When Hurricane Maria knocked out power in Puerto Rico, residents there realized they were going to need physical cash — and a lot of it. For a time, unless one had a hoard of cash stored up in one's home, it was impossible to get cash at all. 85 percent of Puerto Rico is still without power, as of October 9. Bloomberg continues: "When some generator-powered ATMs finally opened, lines stretched hours long, with people camping out in beach chairs and holding umbrellas against the sun." Note the deep concern with "trac[ing] revenue" and "enforc[ing] tax rules" — as if making payroll for ordinary people were not the real problem here. Puerto Rico has been fortunate that the United States, so far, has not attempted to implement many anti-cash measures that have been popular among central bankers in recent years. Abolishing cash, of course, has become de rigueur among mainstream economists who have long argued that physical cash is an impediment to "nontraditional" monetary policy like negative interest rates. Moreover, advocates claim, physical cash makes it harder to control the flow of money, collect taxes, and control black markets. This drive to supposedly fight crime and corruption was given as the justification for the disastrous war against cash in India in 2016. Hatched as a scheme to assert more government control over the economy, the Indian government removed mostly large bills from circulation in India, which accounted for 85% of its physical cash by value. Not surprisingly, shock waves from the announcement continue to crash through the economy. The Asian Development Bank cut its growth estimate for India for the financial year ending March 31 to 7% from 7.4%. JP Morgan expects growth to decline by half a percent to 6.7%. Meanwhile, falling sales have begun to translate into layoffs spanning various sectors, including construction, textiles and jewelry. The Centre for Monitoring Indian Economy estimates the transaction costs alone of swapping out an estimated 14.2 trillion rupees’ worth of currency to be 1.28 trillion rupees, or about $19 billion. India’s economy will eventually recover from this self-inflicted wound, but there’s no question that demonetization has created doubts about Mr. Modi’s competence. The decision, reportedly hatched in secret with a coterie of trusted bureaucrats, showcases the prime minister’s faith in the command-and-control ethos of the civil service rather than in the “minimum government” he once promised. One can only imagine how much more grim matters would be for Puerto Rico if most physical cash were made illegal as happened in India. It's unlikely, however, that any well-known economists — such as Kenneth Rogoff who has deemed physical cash "a curse" — will be recanting their anti-cash views. If you want to make an omelet, you have to break some eggs, and while some of the "little people" like Indian peasants and Puerto Rican workers might have to suffer greatly whenever the power goes out, we all have to make sacrifices. Perhaps this is what Richard Thaler — the newly announced economics Nobel-Prize winner — had in mind when he came in out in favor of demonetization in India. Certainly, abolishing cash is likely to devastate a poor economy more than a wealthy one. A wealthy country, with more advanced and reliable infrastructure, and with greater access to resources in general, is more fully able to weather a shortage of physical cash, and natural disasters. Overall, though, going cashless makes an economy more fragile, and makes ordinary people sitting ducks whenever there is a natural disaster, or even worse disruptions such as wars. 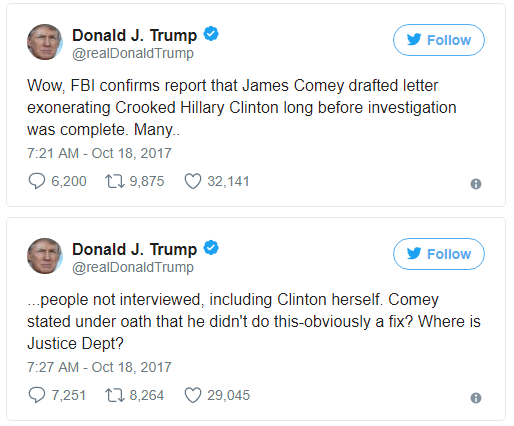 In an early Wednesday tweetstorm, Trump blasted fired FBI Director James Comey and questioned the DOJ, following the FBI's confirmation that Comey began drafting his statement about Hillary Clinton's private email server use long before the investigation was complete. "Wow, FBI confirms report that James Comey drafted letter exonerating Crooked Hillary Clinton long before investigation was complete. Many people not interviewed, including Clinton herself." Trump then accused Comey of perjury, and asked why the DOJ has not addressed this yet: "Comey stated under oath that he didn't do this-obviously a fix? Where is Justice Dept?" Trump also accused Comey of lying and leaking to protect Clinton. "He was the best thing that ever happened to her!" On Monday, the FBI posted a document revealing Comey began drafting a letter in July of 2016 in which he did not recommend charges against Clinton. FBI official James Rybicki in mid-May requested in an unclassified email that officials "send any comments on this statement so we may roll it into a master doc for discussion with the Director at a future date." Comey would make his announcement roughly two months later, criticizing Clinton for being "extremely careless in their handling of very sensitive, highly classified information." Trump also took aim at Senate Democrats, and Republicans, urging "all Senate Republicans" to vote for "the largest Tax Cuts in U.S. history." Speaking on Monday at the White House Rose Garden, Trump said “If we get it done, that’s a great achievement,” while standing next to Senate Majority Leader Mitch McConnell. “But don’t forget it took years for the Reagan administration to get taxes done. I’ve been here for nine months, a little more than nine months.” Despite the president's efforts, the only 52 percent of Americans in a new CNN poll say they oppose the president's tax reform plan, while only 34 percent say they support it. Trump is set to meet with the Senate Finance Committee on Wednesday to discuss tax reform efforts. Trump then moved on to the NFL, which he ripped for its decision to allow players to kneel during the national anthem, saying it shows "total disrespect for our great country!" "The NFL has decided that it will not force players to stand for the playing of our National Anthem. Total disrespect for our great country!" the president said in a tweet. Trump's anger was prompted by the NFL decision on Tuesday not to implement a rule that would require players to stand during the national anthem. The NFL Network's Ian Rapaport was the first to report the decision. Trump has taken aim at players who kneel during the anthem to protest racial and social injustice in the U.S. Finally, Trump ripped Rep. Frederica Wilson, saying the Florida Democrat's claim that he made an insensitive comment about a fallen soldier's wife was "totally fabricated." "Democrat Congresswoman totally fabricated what I said to the wife of a soldier who died in action (and I have proof). Sad!" Wilson told CNN that she was in a car with Johnson’s widow, Myeshia, during a trip to meet her husband's casket when Trump called, and that Myeshia was "very distraught after the call." “She has just lost her husband, she was just told that he cannot have an open casket funeral which gives her all kinds of nightmares about what his body must look, what his face must look, and this is what the president of the United States says to her,” Wilson told CNN. Trump launched a fresh round of controversy on Monday when at a press conference he made the claim that his predecessors did not call the families of fallen soldiers. He then attempted to walk back the claim at the same press conference. It is being widely alluded to that President Trumps recent actions against Obamacare, are a direct effort by him to weaken it to the point in which congress will have no choice, but to take action and replace it. 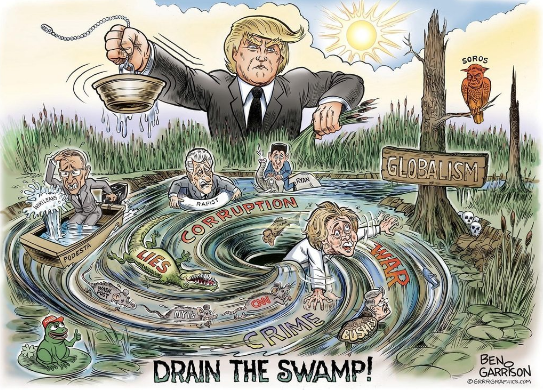 Will this work, or will the elites, aka the Swamp, hold out and resist his latest efforts? The Democrats will never agree, but perhaps he can get the Republicans to finally do their jobs. We shall see. Everyone is surely aware by now that all of our digital communications are being sent to government databases for storage. If our American ancestors could see it, they wouldn't believe their eyes. We still, however, have the ability to use cash. All of our economic decisions are not under constant government surveillance. Ron Paul discusses the dangers of Big Brother's War on Cash. Month after month, year after year, the mighty King Dollar is slowly being weakened, its monopolistic grip as the fiat reserve currency of the world is steadily lessening. To many, this reality passes them by, as they are blissfully ignorant to the facts, living their lives without knowing the true ramifications that this will have on their lives. People have simply taken for granted the reality that they live in and the power that comes along with having the unique status of "reserve currency of the world". This has granted the United States the ability to expand its empire and military might, despite the fact that it is utterly bankrupt, with its debt levels just recently exceeding the stunning $20 trillion mark. A debt that will never be repaid. Yet, it has not just been the United States that has benefited, their closest allies have also experienced a trickling down effect and benefited from the close relationships they have formed with their ally and chief trading partner. Indeed, it has been a good ride, but like all rides, eventually they must come to an end. This is exactly where we stand now. The ride is slowing down and not because the passengers want to get off, but because those waiting in line are demanding their turn. 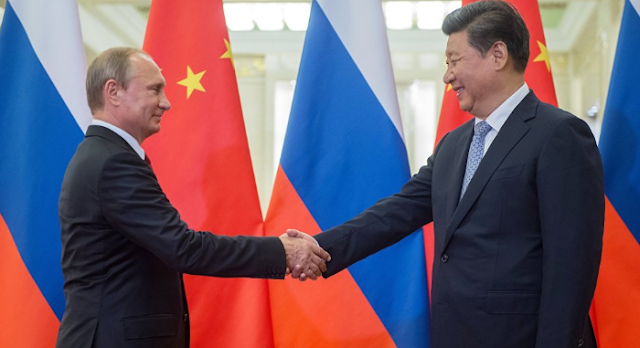 China and Russia, have been increasingly growing closer and closer as the years go on. They have been forced into this uncanny partnership due to the numerous economic sanctions placed on Russia and the ratcheting rhetoric used against China. This partnership is not one that should be overlooked, as these two economic powers possess a stunning amount of not just military force, but also natural resources, the latter of which they continue to gobble up from lesser nations at a feverish pace. Two resources that both countries desire, seemingly above all else, are oil and gold, both of which have been highly sought after by both countries. Russia, luckily, has a massive reserve of oil under the ground, being the worlds largest producer of oil in the world, and China needs it to keep its economic engine running. Both have large reserves of gold both in the ground and in stockpile. Therefore, it comes as no surprise to anyone following this story, to see that both countries are once again moving even closer together, supplanting the need to settle in USD, and establishing the first ever Yuan to Ruble payment system. This has to have the United States government and the elites who control the fiat based system worried. The need to have US dollars, also known as the "Petro Dollar", is what drives their might and power. They cannot have countries simply abandoning this system haphazardly and setting up their own payment methods, and this is exactly what has led to so many countries in the middle east being ransacked, for even thinking about doing so. Unfortunately for the West, Russia and China are no pushovers, and other than jawboning and rhetoric, we expect little to nothing to occur. 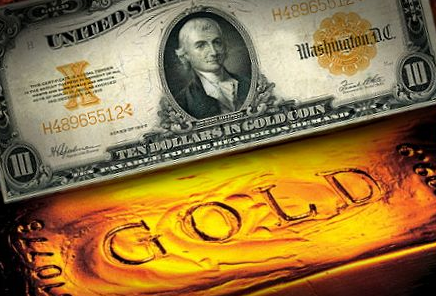 They know this, and they know that the West is ultimately powerless to stop them, as they forge their alliance and plan for the eventual day when it is "their turn" to hop on board the ride and instill their own reserve currency, one that many speculate will be tied to a basket of hard assets, including gold and oil. This is just one more chapter in the ever unfolding currency wars and the gradual decline of the US Dollar, as the reserve currency of the world. This book is far from finished, but one thing is certain, it's sure to be a page turner. Alasdair Macleod is bearish on the U.S. dollar. From rising commodities prices, slow growth and stagnation, inflation is on the horizon. 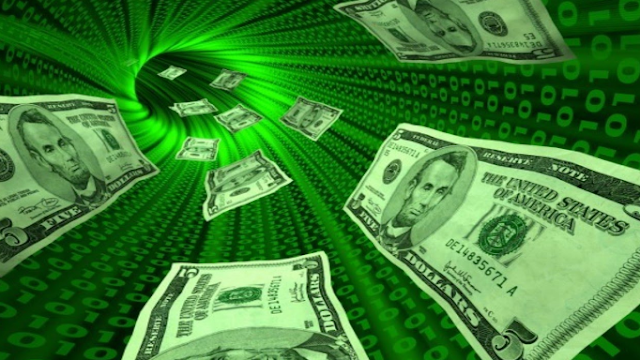 International demand for the U.S. dollar will decrease as countries move away from using the it for trade. Geo-political situation including the latest from Syria. The oil for Chinese yuan contract. What is actually happen behind the scenes of the Western Economies of the World? Are things going good as the Central Banksters would have us believe, or is our system truly rotten at it's core, with the elites stealing every last drop they can get, before they crash it down upon our heads? Charles Hugh Smith explains in this recent interview, exactly what he see's happening in the FED reports and tells us the truth about the economy, as he see's it. Congressional Republicans moved to hasten an overhaul of the U.S. tax code on Thursday, while Federal Reserve officials warned in rare public remarks that President Donald Trump’s tax plan could lead to inflation and unsustainable federal debt. "It sounds like they're serious about drafting tax reform legislation and that gives everyone greater confidence that this might actually happen," said Phil Orlando, chief equity strategist at Federated Investors in New York. He predicted tax reform could lift economic growth and corporate earnings for 2019 and send the benchmark S&P 500 .SPX index above 3,000. In the latest of a series of undercover operations targeting mainstream media bias, James O'Keefe has just dropped a new undercover video which takes direct aim at the New York Times' Audience Strategy Editor, Nick Dudich, who admits repeatedly to promoting content that intentionally seeks to, among other things, damage President Trump's businesses as a means towards forcing his resignation. While talking about being objective at the Times, Dudich replies candidly, "No I'm not, that's why I'm here." Dudich considers himself an important player at the New York Times, telling the Project Veritas Journalist "my voice is on... my imprint is on every video we do." "Target that. Get people to boycott going to his hotels. Boycott... So a lot of the Trump brands, if you can ruin the Trump brand and you put pressure on his business and you start investigating his business and you start shutting it down, or they're hacking or other things. He cares about his business more than he cares about being President. He would resign. Or he'd lash out and do something incredibly illegal, which he would have to." When the undercover journalist asks Dudich if he could make sure that the anti-Trump stories make it to the front, he replied, "Oh, we always do." Will Markets Be Nationalized During the Next Crises? We can all feel it in our bones, we know that another collapse lays just on the horizon. NOTHING has been solved from the 2008 crisis and everything has simply been papered over. What comes next? What will the next collapse look like? It would be the first major overhaul of the tax code since 1986… the “biggest tax cut of all time,” as the president calls it. Will it make the American economy great again? Or will it vanish into the swamp… like Trump’s plan to replace Obamacare? To double the standard deduction for both couples and single filers (to $24,000 and $12,000, respectively)… and eliminate the estate tax. Stocks surged to record levels yesterday afternoon as the president trumpeted his plan. It was the promise of tax cuts that helped inflate the Trump “reflation trade” since the November election. Now they’re in sight — if not yet within reach. The plan’s promises are many… but its details few. Reagan’s 1986 tax reform bill ran to 450-plus pages. Where is the devil in Trump’s plan… or God? Without corresponding spending cuts or other means of generating revenue, wouldn’t the tax cuts add trillions to the debt? The Committee for a Responsible Federal Budget estimates the plan would add $2.2 trillion to the national debt over the next 10 years. Kyle Pomerleau of the Tax Foundation pegs it at $5 trillion if every provision makes it home. Trump says he wants filing a tax return so simple it could fit on a postcard. That means simplifying the tax code. How does he turn the system to his advantage? How does he work the angles? At 74,608 pages, the United States Tax Code features lots of angles to work… and dark corners where swamp creatures lurk. House Speaker Paul Ryan now expects “10,000 lobbyists” to storm Capitol Hill. Each is out to keep his bucket in the stream… his snout in the trough… and his BMW in gas. I’m heart and soul for tax reform, says the lobbyist. Just make sure it’s the other fellow’s taxes being reformed. And so it goes, with a hundred industries, each with its battalions of lobbyists. “This could be the single issue that brings out the army of lobbyists more than any other issue we’ve seen in recent years,” says Craig Holman of Public Citizen, a government accountability outfit. Will Congress withstand the onslaught? “You have no idea how hard this is going to be,” warns outgoing Republican Sen. Bob Corker of Tennessee. Ah, but we do, Senator. At the Bellagio Hotel (not Mandalay Bay), Rene Downs made a Facebook Live video discussing shots coming in through the front doors of the lobby causing mass chaos and a stampede. Las Vegas Sheriff: “You Got To Assume Shooter Had Help” As “Mystery Woman” Emerges. And despite orders from The NFL that players will stand for the National Anthem this week, The Hill reports that at least three Miami Dolphins players (Julius Thomas, Michael Thomas, & Kenny Stills) took a knee during the playing of the national anthem Sunday. Saints players took a knee before the anthem began, but then stood as it was played. "It certainly was my takeaway that the commissioner was looking for a way for the protests to end,"DeMaurice Smith (NFL Players Association executive director) said Friday when asked about his 30-minute conversation with Goodell (NFL commissioner), while declining to offer specifics about what was discussed. Goodell declined to comment, but a league source did not dispute Smith's account. "Knowing the league the way I know the league, they are first and foremost concerned about the impact on their business," Smith said. "That's always their first concern. I mean, who are we kidding?" Nobody was kidding when many of the NFL's highest-profile owners, including Robert Kraft of the New England Patriots and Jerry Jones of the Dallas Cowboys, expressed concerns last week that the optics of hundreds of players kneeling, sitting or remaining in the locker room during the playing of the national anthem had alienated many fans at a particularly perilous moment for the NFL. TV ratings for many of this year's games have continued a slide that began last season; some league sponsors have grown skittish about the backlash; and most surveys have shown that a majority of NFL fans are turned off by the politicization of the game. "My only response was, 'I don't have the power to tell our players what to do.' ... At the end of the day, this is a group of players who are exercising their freedom. There is no room for me to snap my fingers and tell our players, 'It's time for you to give up a freedom.' Just the idea offends me. It's almost as if the players are being asked, 'What's it going to take for you to stop asking to be free or to be treated like an American?'" Early on, one of the players pointedly told the assembled owners -- in particular Kraft, who this year gave his longtime friend Trump a Super Bowl 51 champions' ring -- "We know a lot of you are in with Trump. This meeting is going on because the players think that some of the people that they work for are with his overall agenda, and that's not in the players' favor." "We can't just tell them to stop," Goodell said of the players' protests. Many owners immediately argued otherwise. "We need to find a way where Trump doesn't win," one said, and that meant using leverage as employers to end the protests. Another said, "We'll get our guys in line." Some owners were angry that Joe Lockhart, the NFL's executive vice president of communications who worked as President Bill Clinton's press secretary, had told reporters on a Monday conference call that the players' words and actions on the subjects of police brutality and racism were "what real locker room talk is." It was a brazen shot at Trump, who was captured in a 2005 video talking, in explicit terms, about grabbing women by their vaginas but later dismissed the video's contents as "locker room banter." Owners, many of whom had supported Trump and seven of whom had donated at least $1 million to him, felt that Lockhart had unnecessarily politicized the league's response. One owner barked angrily at Lockhart, who declined to comment about the matter, echoing a sentiment that most of them -- especially Jones -- shared: Nobody wanted to engage in a political mud fight with the White House, even if "they were all pissed at the president," a league source said. As ESPN concludes, by the end of their meetings, the players and owners weren't as unified as they would later publicly state, but as one owner says, "We've gotten out of crisis management and into, 'How do we do this correctly?' There was a chance that we didn't deal with it correctly -- and it had passed." Perhaps after this week's collapse in ticket sales - and potentially a few more lost advertising dollars - the owners may have some different ideas on how to control their players in their place of work. Fresh off the news of North Korea claiming that the United States has declared war due to U.S. President Trump’s military positioning and contentious rhetoric, a report from FireEye has suggested that the DPRK may be mining something other than coal. While North Korea has only limited access to petroleum due to increased sanctions and zero proved reserves of its own, the country isn’t without resources. South Korean estimates suggest a possible trillions of dollars’ worth of rare earth minerals waiting to be dug up. These include iron ore, zinc, copper, graphite, gold, silver, magnesite, and approximately $9.7 trillion worth of coal and limestone. In an interview with VOA Korean, Priscilla Moriuchi, the director of strategic threat development at Recorded Future explained: "We weren't able to determine the volumes, like how many bitcoin they can generate per certain time period. We could just see activity.” Moriuchi added that the intelligence firm had two hypotheses regarding the activity – the first being a group connected to the government, the other being an individual who had access to the internet. The founder of Bitcoin NYC Meetup, Jonathan Mohan, noted: "It wouldn't surprise me if, perhaps, hypothetically, North Korea were to have pre-existing business relationships in China that wouldn't mind purchasing bitcoin from them, and then just disseminating it to the Chinese market as you would with any other bitcoin." Interestingly, this string of news comes just after China’s clamp down on cryptocurrencies, with many of its major exchanges planning to shut down at the end of the month. CNBC has noted that the Chinese general administration of customs did not respond to requests for comment. “North Korea using these technologies is not exactly a loophole to the sanctions — that could be overstating the power of bitcoin itself,” Yaya Fanusie, a former CIA counterterrorism analyst, told The Washington Times. “But you have a cat-and-mouse game evolving, and this is just the type of emerging technology that the [U.S. intelligence community] needs to develop expertise to understand." Catherine discusses here breaking research of $21 trillion in “undocumented adjustments”, which is another way of saying “missing money”. The U.S. has crossed the 20 trillion mark “officially” in national debt, but the amount of money missing is even more than that. Catherine says to not just take her word for it, because there are independent reviews now taking place that confirm not only the 21 trillion, but the research is showing that Catherine’s number is too low, and the real amount is even larger.